HI all! Looking to hire someone to make me a bolo out of some of my top grade Olympic Poppy Jasper. Anyone on board for such a project? I'd hope you would be familiar with working poppy jasper as it can be frustrating at times. Reply here or shoot me a pm to discuss $$. It helps if I know you from the forums or can at least see your work. My top grade poppy is rarer than hens teeth! In your system of grading, where does this material fall? Also what areas of the slab is more desirable, the darker or lighter areas? Maybe (probably) is just me, but that doesn't look like poppy jasper to me. 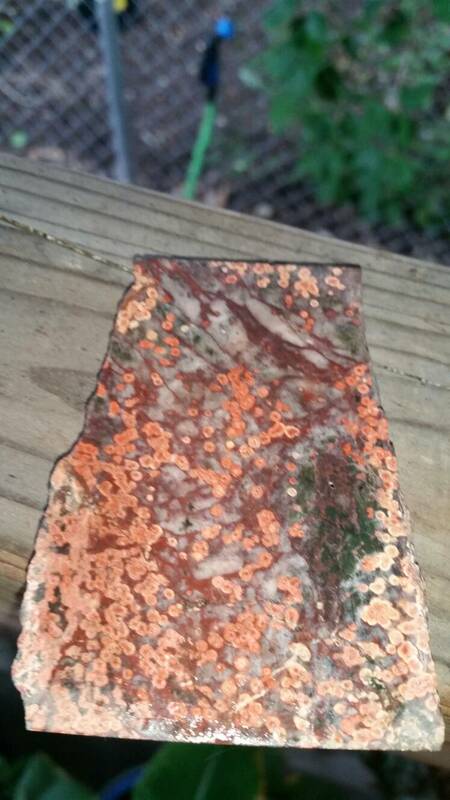 It looks more like leopard skin jasper. As you can just make out the slab is marked. That's why I asked for your opinion. The estate I got it from was kind of shaky on identification. Thanks for the help, now I can enter it in my inventory correctly. 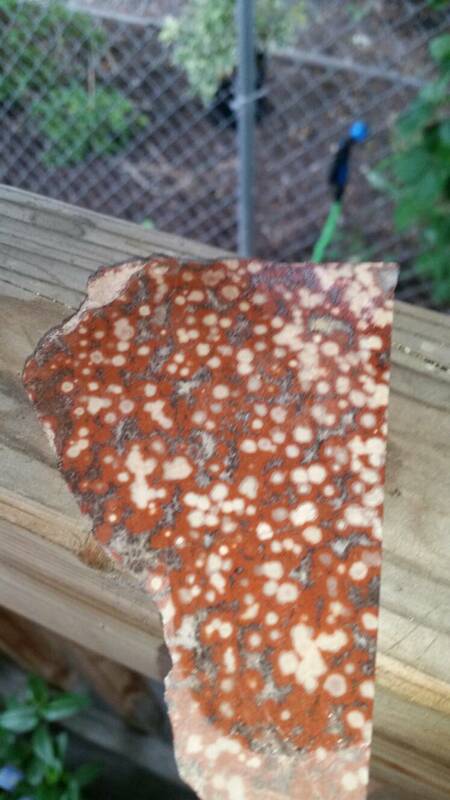 Is your poppy jasper like morgan hill where a lot of it is fractured and needs to be stabilized? A design of the bolo you want would be helpful, simple or complicated. Navajo style? Or more modern. Ideally, I would like the bolo to be as simple as possible so as not to detract from the stone. Nothing crazy, just looking to have a big statement piece of my own material to wear. I will photo the slabs this evening.